I came across Lush Pad on Twitter yesterday. 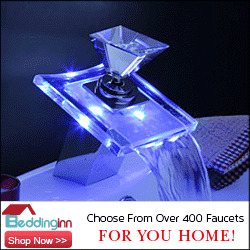 Lush Pad is a marketplace for Modernist furniture and furnishings. Got an original Hans Wegner chair lurking in the attic? Or maybe you'd rather buy a couple of original Bertoia stools. You can do both on Lush Pad. If you have a thing for Modernism, check out Lush Pad. As an added incentive, in a contest sponsored by Modernism Magazine, Lush Pad is giving away a Nelson Ball Clock like the one pictured here. 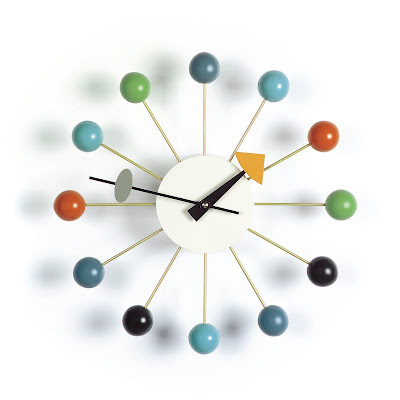 Though this clock's not an original, it's a licensed reproduction by Vitra and it normally sells for $355. All you have to do is tell them your favorite modern designer and you're in. George Nelson was born in Hartford, Connecticut in 1904. He's considered to be one of the founders of American Modernism and a lot of his iconic pieces, like the Ball Clock, are still in production decades after they debuted. George Nelson often collaborated with other designers, and in the case of the Ball Clock (1948), Nelson was at a dinner party with Isamu Noguchi, Irving Harper and Bucky Fuller. As the story goes, they were all sketching and "we'd had a little bit too much to drink," said Nelson. In the morning, they saw a drawing of the Ball Clock on a roll of drafting paper. "I don¹t know to this day who cooked it up," said Nelson. "I know it wasn't me. It might have been Irving, but he didn¹t think so. [We] both guessed that Isamu had probably done it because [he] has a genius for doing two stupid things and making something extraordinary out of the combination. It could have been an additive thing, but we never knew." So run on over to Lush Pad and enter for a chance to win this baby. I entered last night. I'm insane for George Nelson. Insane.